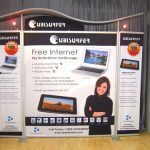 Attending expos, trade shows and conventions is just one of the many ways of advertising your products and services to your audience. 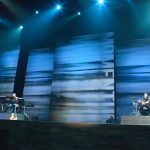 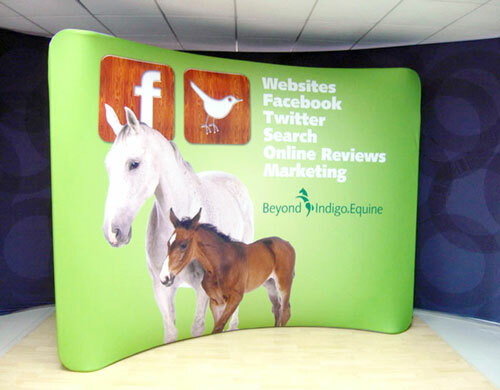 The more you attend these events, the more you get to increase public awareness of what you offer. 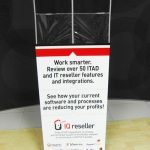 And if you do this effectively, you get to see an increase in your sales. 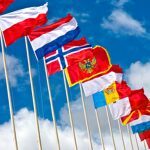 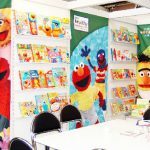 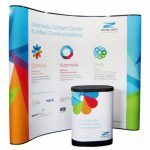 Of course, to boost your brand and get your target audience know about you at these events, you have to make sure that your audience like what they see when they pass your exhibition booth. 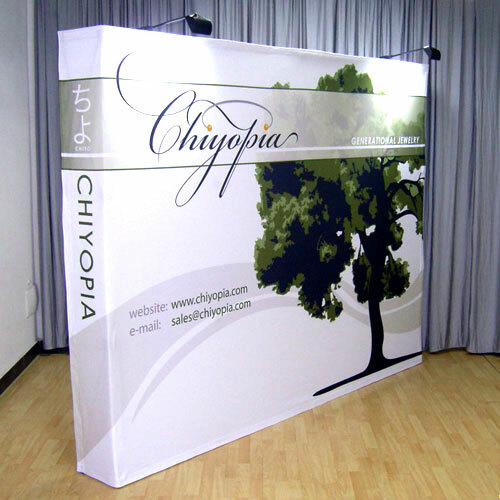 Thus, you have to use the best advertising display tools that can fit your budget. 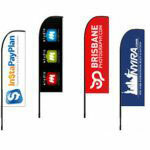 Our affordable package deals for advertising banners are just the tools to help you out. 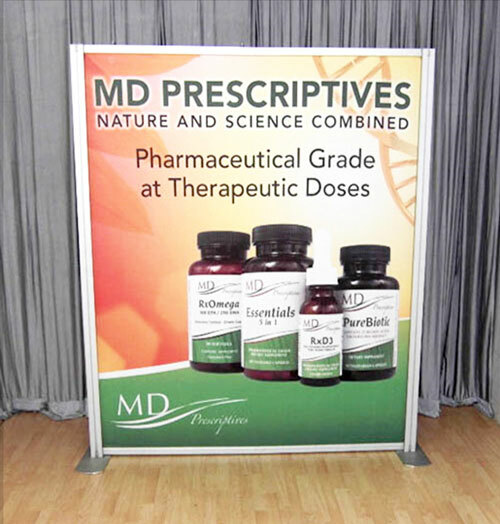 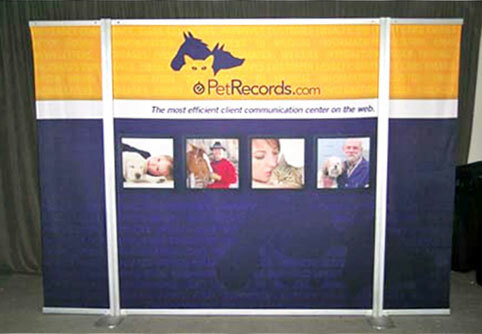 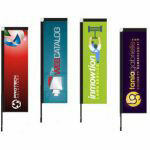 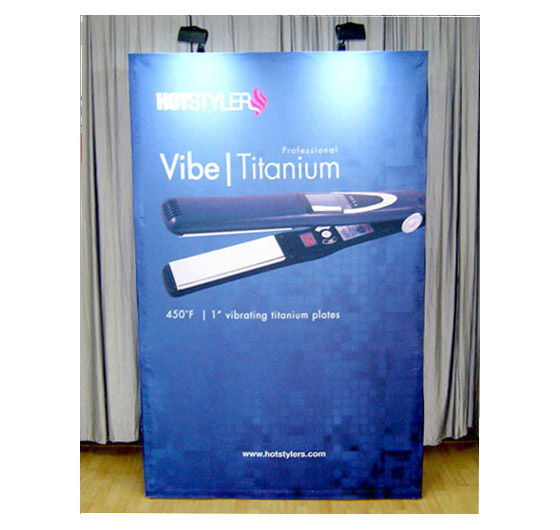 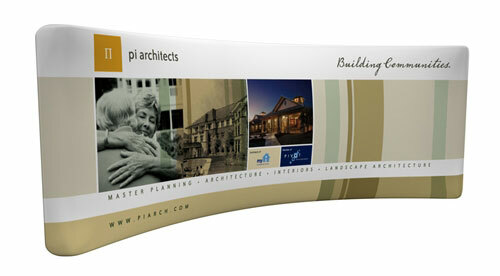 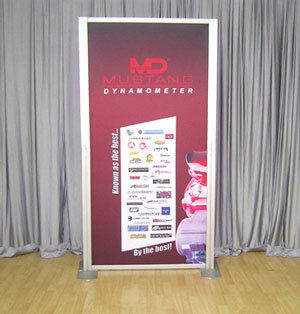 You’ll have attractive and professional advertising banners that are sure to draw in your target audience. 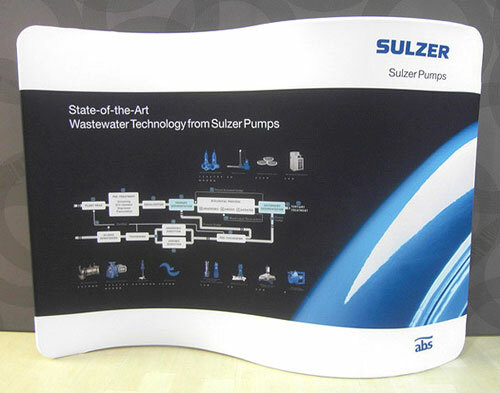 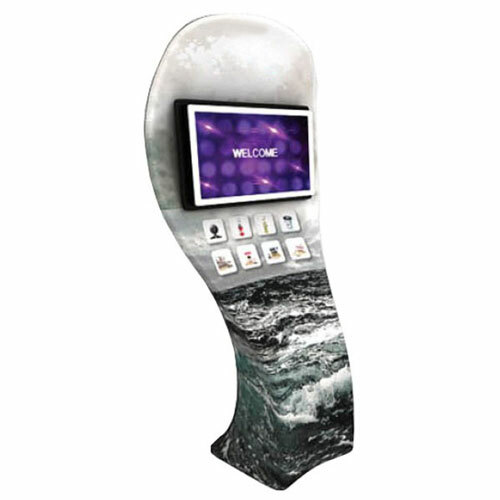 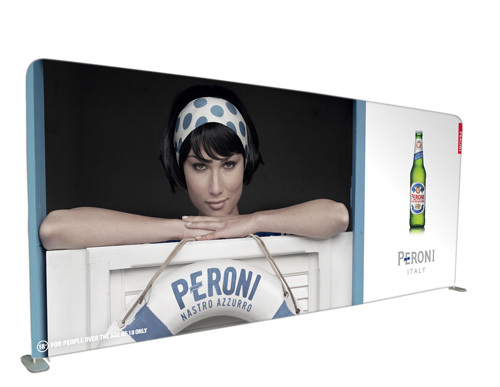 The secret of our displays lies in the graphic and fabric printing. 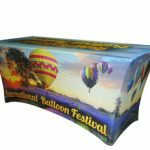 We use only the best methods and practices in fabric printing, and so the graphics we produce are always brilliantly coloured and richly detailed. 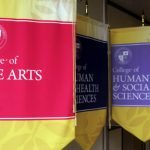 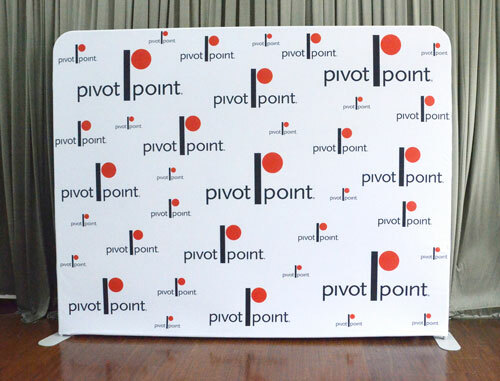 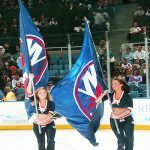 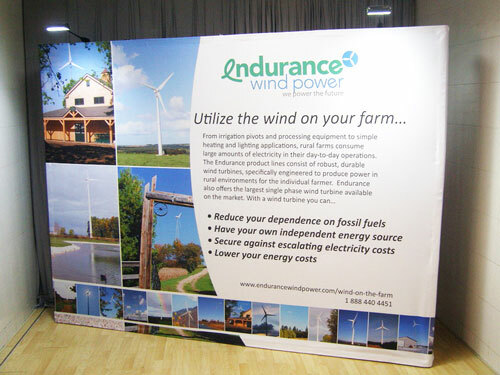 Our banner displays are durable. 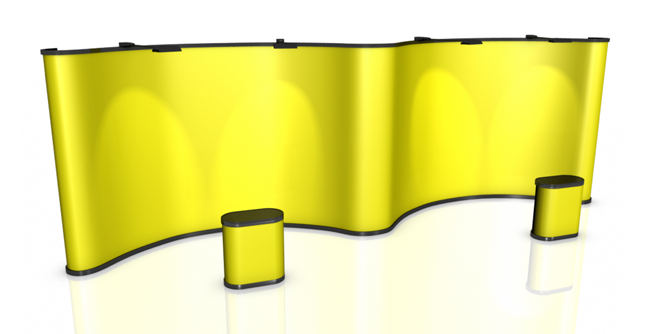 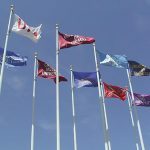 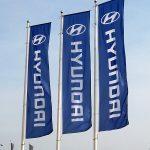 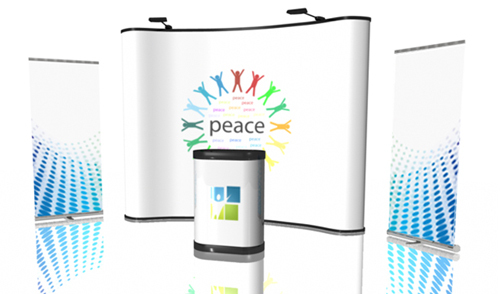 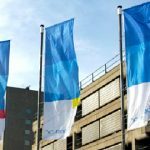 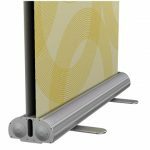 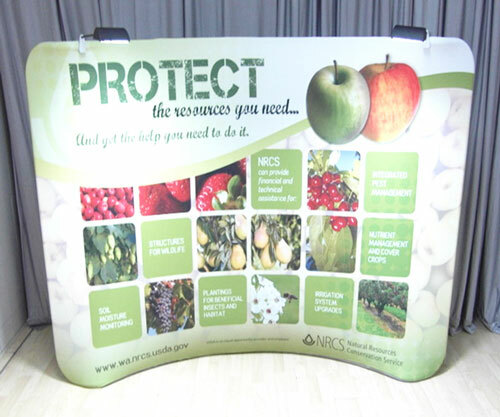 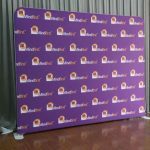 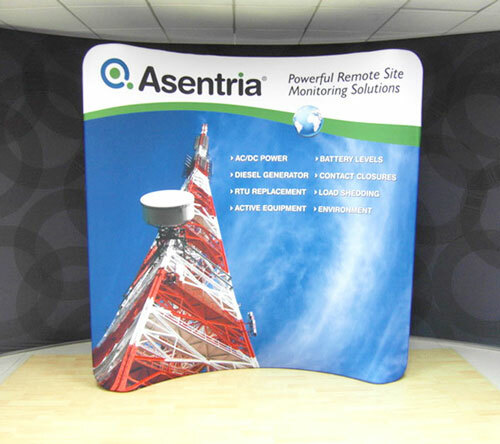 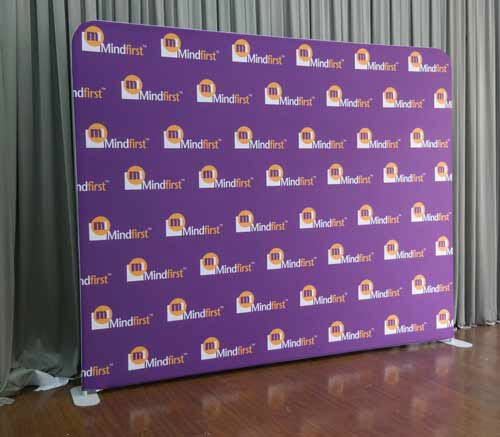 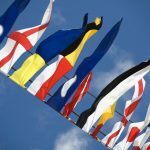 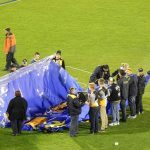 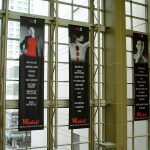 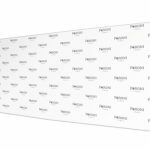 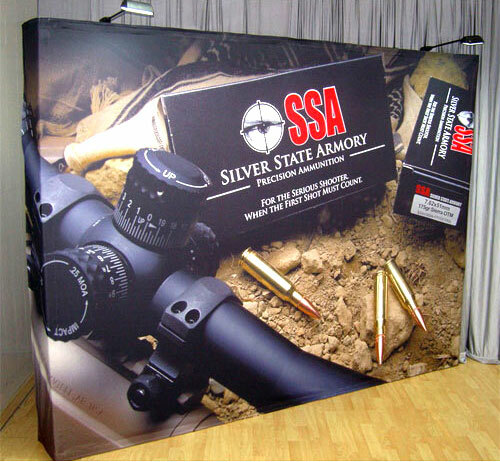 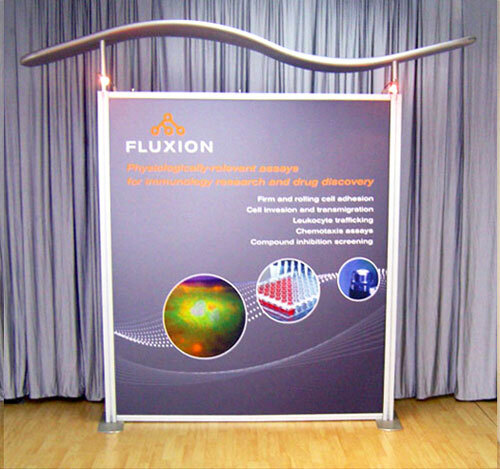 The elements making up the aluminium frame of our banners interlock for safety and stability. 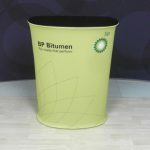 You can count on them to stay standing even when shaken suddenly. 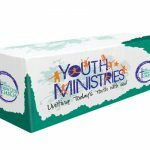 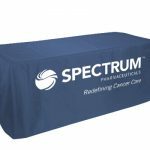 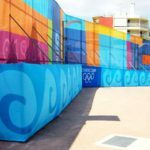 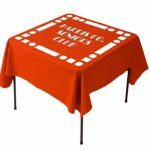 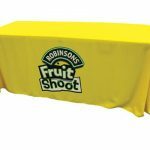 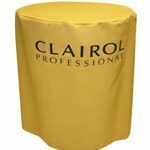 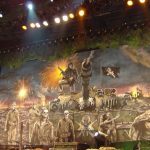 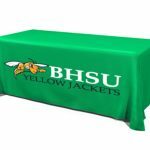 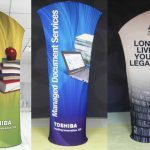 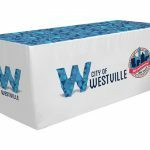 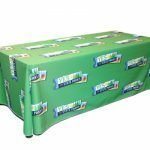 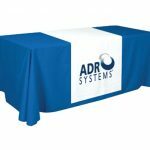 Because the graphics on the laminated panels and the fabric graphics are printed using only the best printing technology available, they do not easily get scratched, faded or damaged. 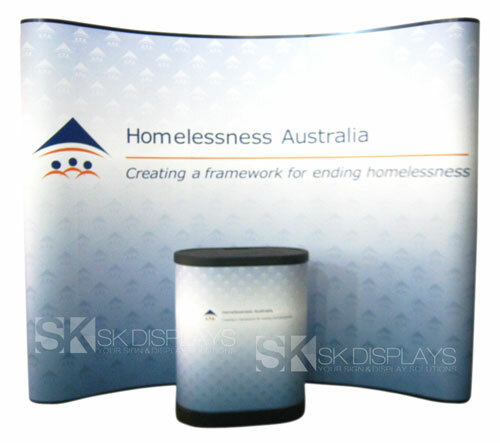 The displays are highly portable. 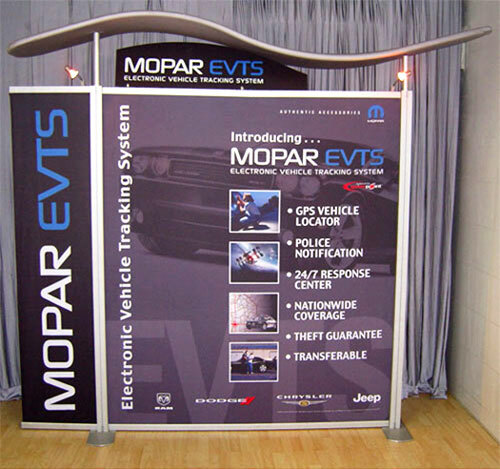 You can take them anywhere without fear of creating a logistics nightmare. 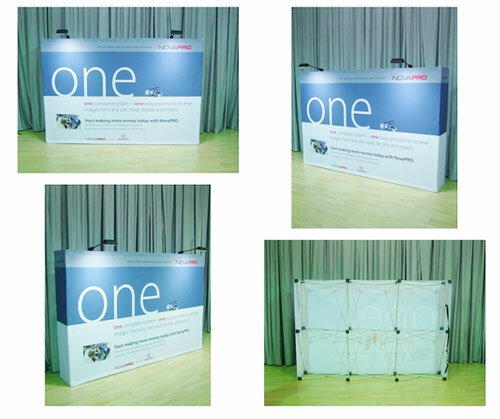 Each banner has its own carry case, one of which is wheeled. 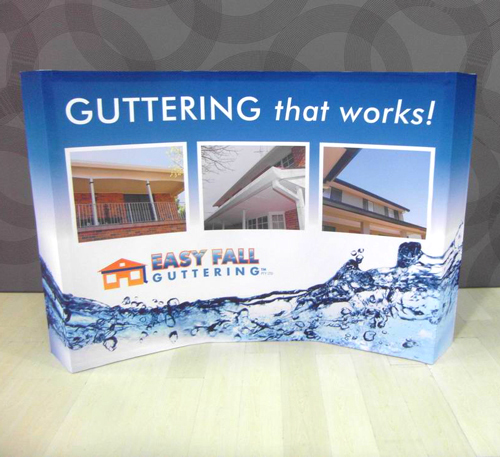 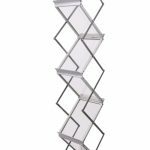 Each item making up this package can be assembled quickly, in less than ten minutes. 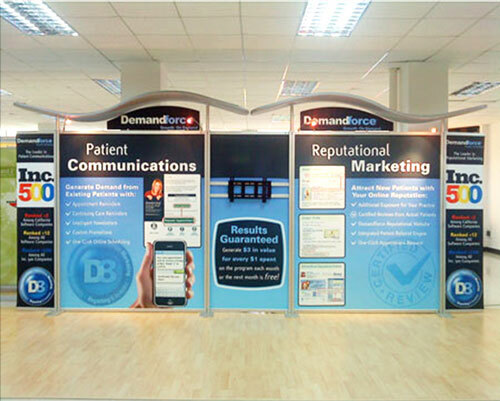 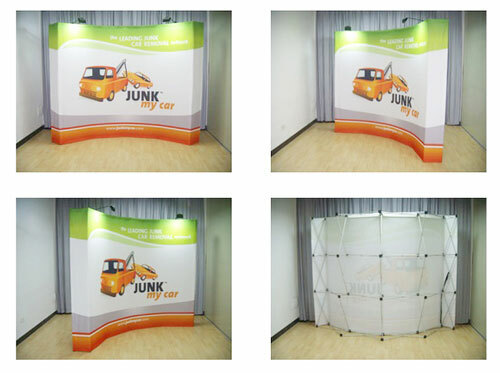 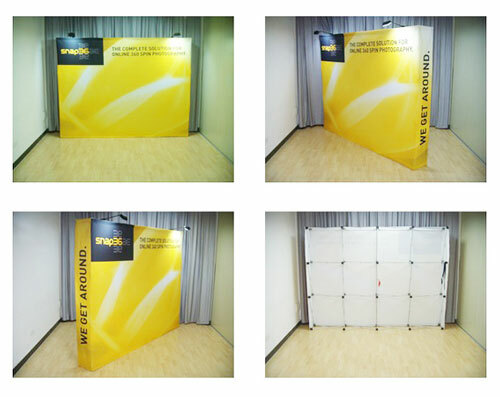 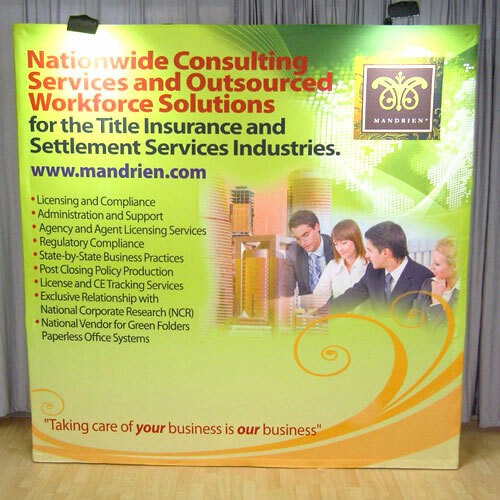 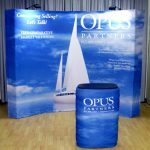 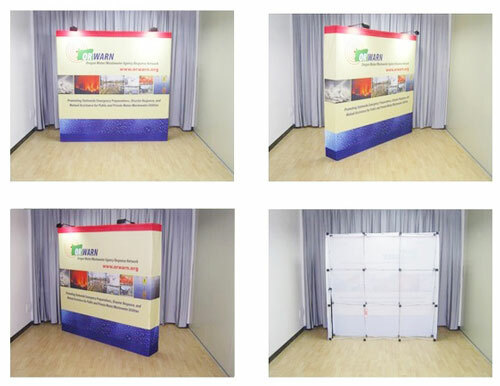 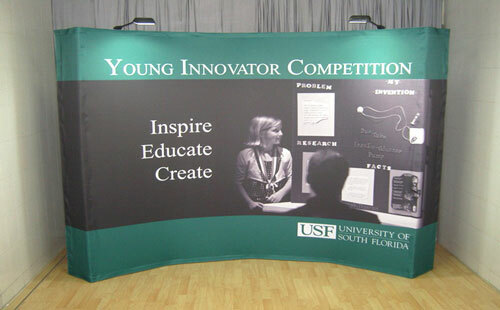 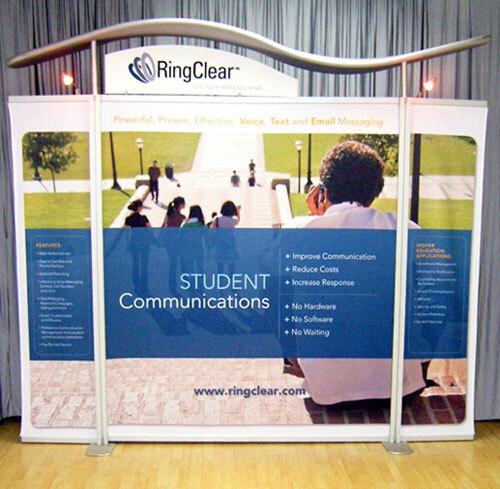 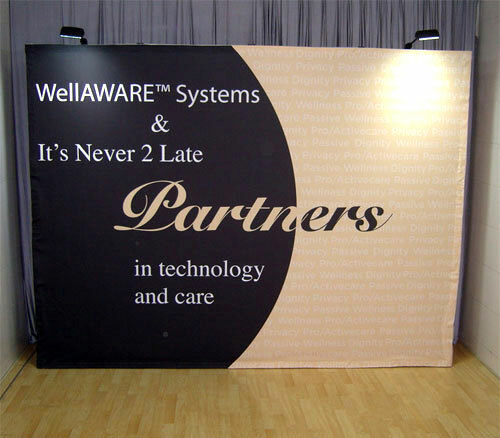 This quick setup ensures that you will not waste a lot of time or manpower in setting up your exhibition booth. 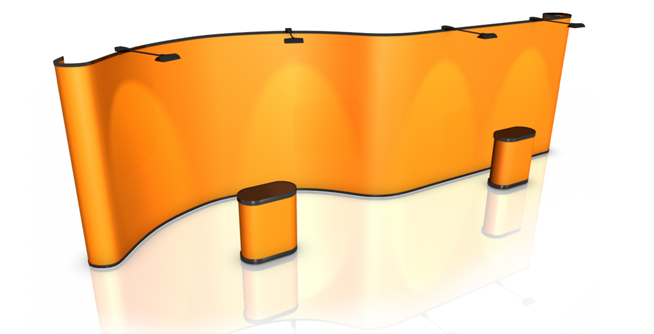 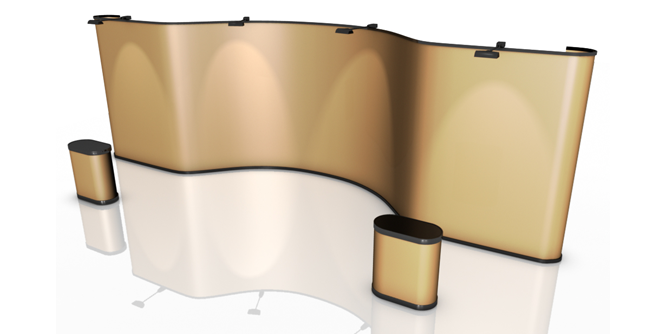 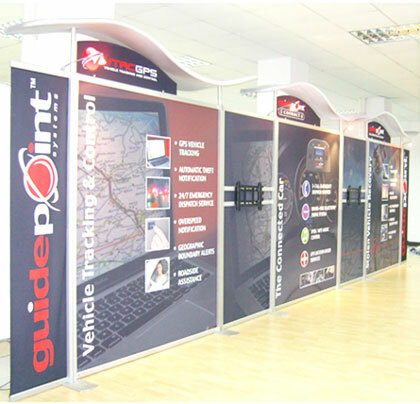 It won’t be difficult to modify your display according to the space the trade show organisers have allotted you. 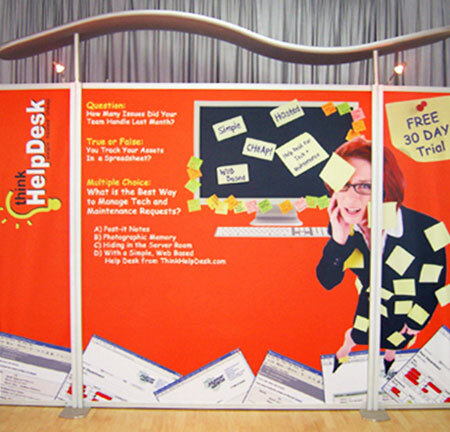 If the space is too small, you can limit your display to just the pop-up wall and counter. 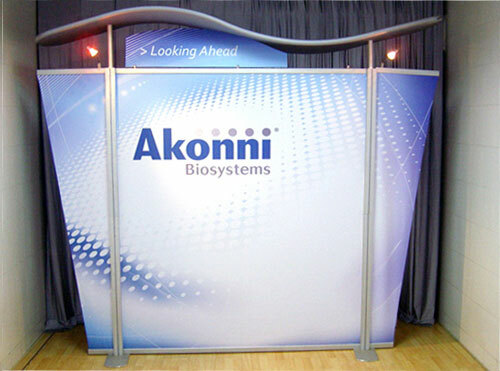 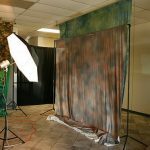 If the space is too big, you can add more displays or furnishing in your booth. 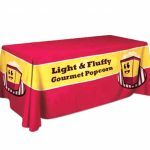 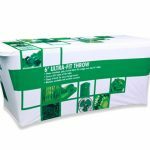 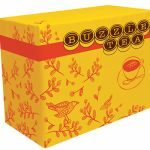 You will save a lot of money in the long run when you purchase this package. 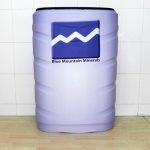 Buying in bulk is always a good idea because it shaves off a considerable amount from your total costs. 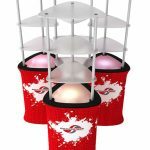 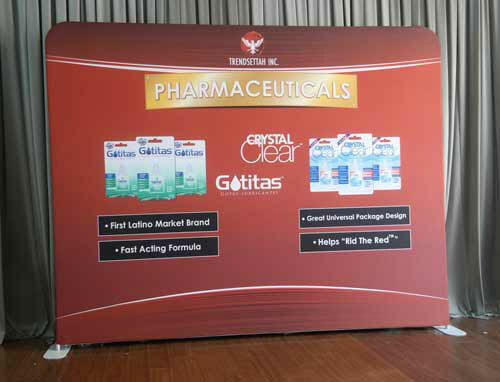 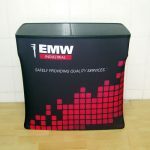 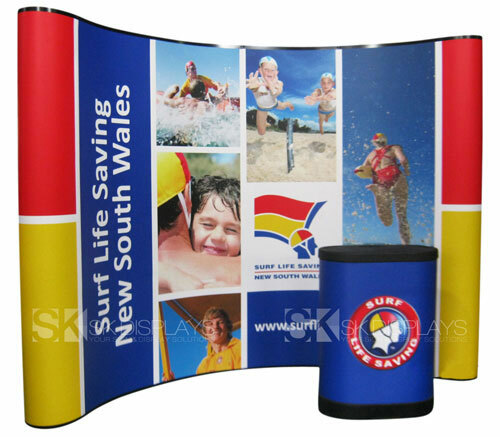 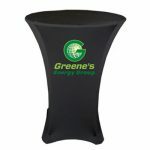 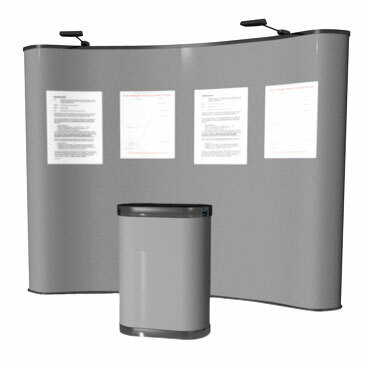 But more than that, these displays are reusable so you can display them over and over at any venue you want. 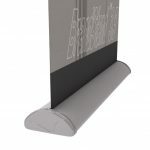 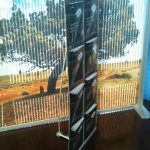 And in case you get tired of your displays’ appearance, you can simply order new graphics from us and hang them on your existing aluminium frames. 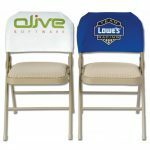 It’s cheaper and you’ll get more savings that way. 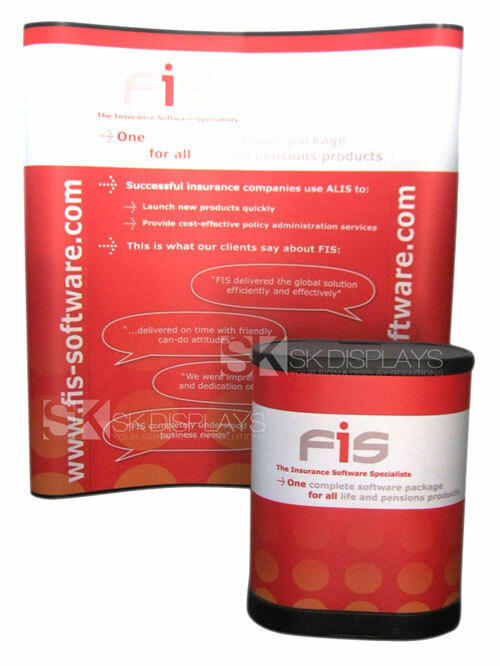 Setting up the displays included in this package is a breeze. 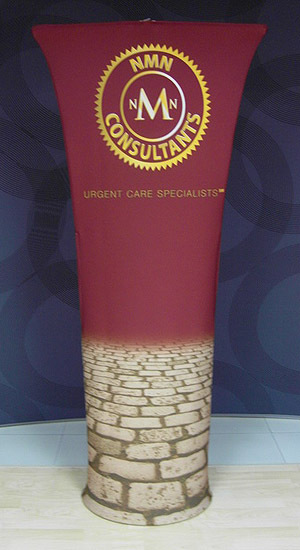 It will take you no more than five to ten minutes at most. 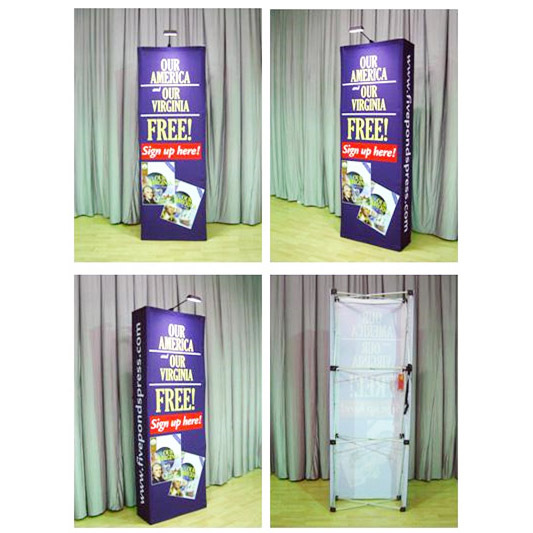 For the pop-up wall, all you need to do is to stretch the aluminium frame to its full size and pull out the feet on its base. 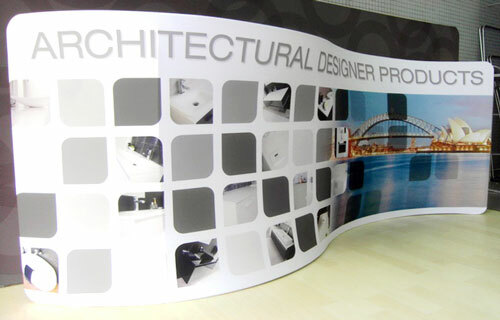 And then, you attach the laminated graphics to the frame with the help of the magnetic strips provided on both the frame and the graphics itself. 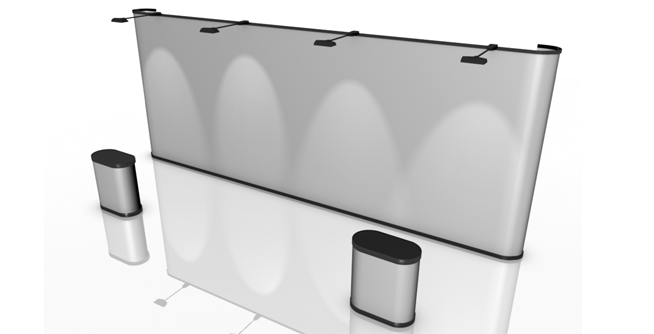 In case you’re using halogen spotlights, you simply install them on the top side of the banner. 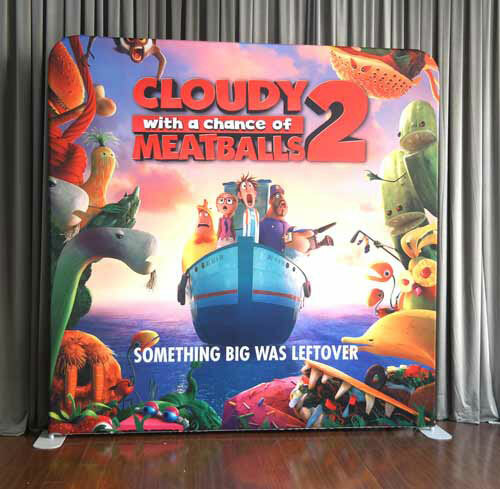 For the pull-up banner stands, you first lock the supporting pole into place and stick it inside the open slot in the base of the banner stand. 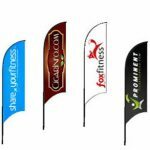 And then, you pull at the banner rolled at the base and fasten it to the top of the supporting pole with the attached hook. 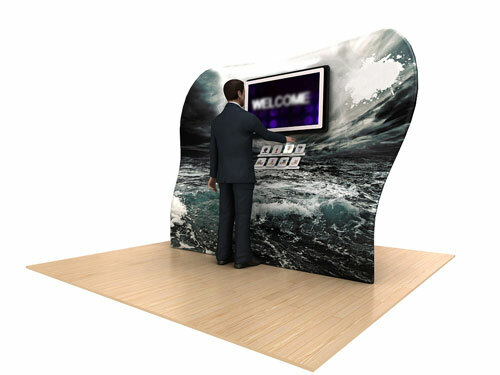 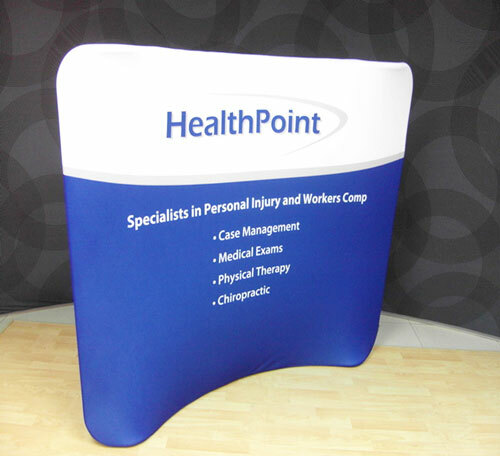 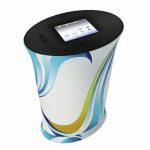 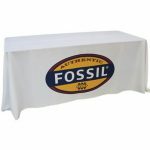 The display counter is just the carry case of the pop up wall fitted with a graphic wrap and a wooden countertop. 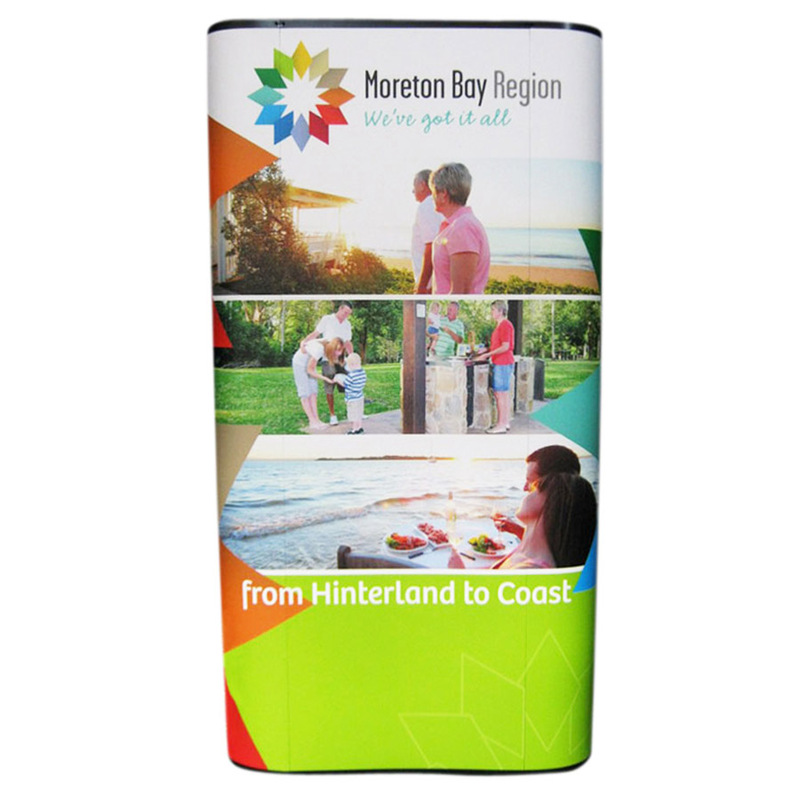 To facilitate the conversion from carry case to display counter, you simply pull the graphic wrap over the case so it covers the body. 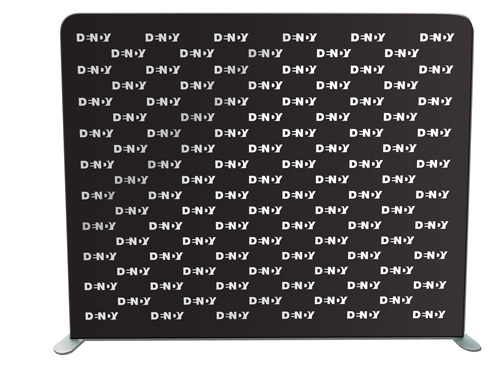 And then you put the countertop above the case. 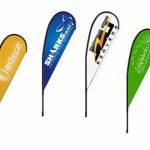 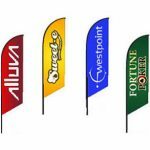 Enjoy the boost this advertising banners package will help do with your signage advertising campaigns. 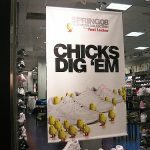 Enjoy the savings that come with it as well. 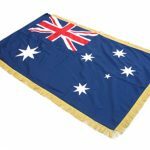 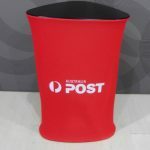 We deliver to Sydney, Melbourne, Adelaide, Perth, Canberra, Brisbane, Darwin and Gold Coast. 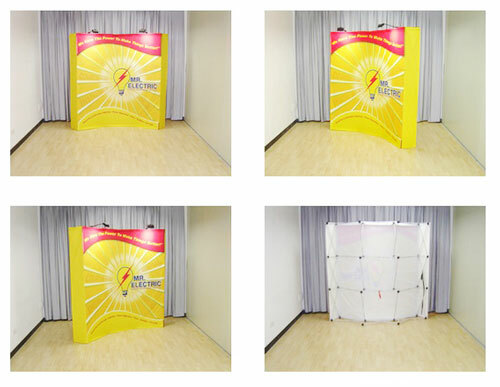 Call us right now for more details about this package.